Stay tuned! The 19th Annual Woodstock Film Festival full lineup will be announced in a few weeks. Keep an eye out for further announcements coming soon. Subscribe to our newsletter to make sure you don't miss it. Full festival passes are now on sale, and individual tickets will be sold starting mid-September. The Woodstock Film Festival (October 10-14) and WacBiz are pleased to announce a special co-presentation of the documentary Finding Oscar on September 8, 2018 at 6:00 pm held at the Rosendale Theater Collective. The screening will be immediately followed by a panel featuring producer and attorney Scott Greathead, the film’s subject Óscar Ramirez Castañeda, and forensic anthropologist Fredy Peccerelli, moderated by Woodstock Film Festival Executive Director and Founder Meira Blaustein. 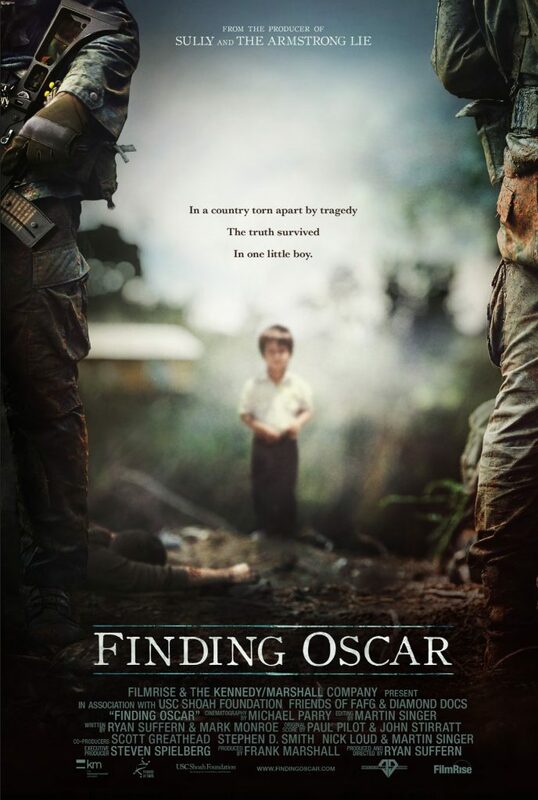 Finding Oscar tells the incredible story of the 15-year search for a 3-year-old boy who survived the infamous Dos Erres Massacre in Guatemala in 1982. Set against the background of Guatemala’s 36-year Armed Conflict, the film features three courageous Guatemalan women – a human rights activist, a young prosecutor and Guatemala’s Attorney General – who unraveled the mystery of what happened at Dos Erres and brought to justice the perpetrators of one of Central America’s worst crimes against humanity. The film also lays bare the U.S. government’s covert support for the violent policies of Guatemala’s government and its Acting President at the time of Dos Erres, General Efraín Ríos Montt, whom President Reagan publicly embraced in 1982. Scott Greathead is a senior counsel in the New York office of the international law firm Eversheds-Sutherland where he practices corporate litigation. He is also an international human rights advocate and a founder of several prominent public interest organizations, including New York Lawyers for the Public Interest and Human Rights First. He has visited more than a dozen countries on human rights fact-finding missions for Human Rights First, Human Rights Watch and other organizations and has written extensively on human rights and corporate social responsibility in The New York Times, The Wall Street Journal and other publications. Fredy Peccerelli is a forensic anthropologist and the Director and one of the founding members of the Guatemalan Forensic Anthropology Foundation (www.fafg.org) in Guatemala City, a nongovernmental organization that exhumes mass graves of victims of Guatemala's civil war. 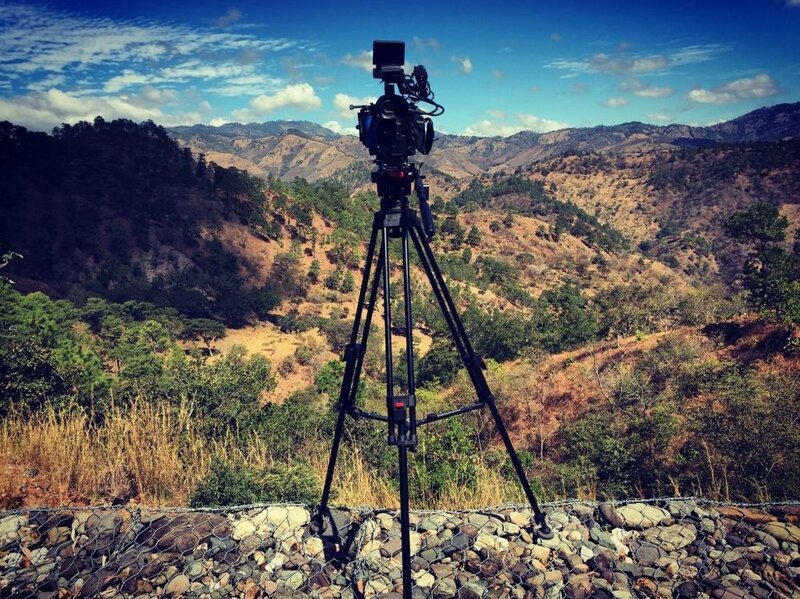 USC Shoah Foundation has joined forces with FAFG, to collect video testimonies of survivors and witnesses of the Guatemalan Genocide, which killed some 200,000 civilians in the early 1980s, mainly indigenous Mayans, at the hands of a military junta whose leader was convicted of genocide and war crimes in May 2013. Peccerelli, along with members of his immediate family, has been the subject of repeated death threats as a result of his work. In 1999, he was chosen by CNN and Time Magazine as one of the "50 Latin American Leaders for the New Millennium." In addition to his ongoing work in Guatemala, Peccerelli has conducted exhumations of mass graves in post-war Bosnia and Herzegovina. He testified about this work at the International Criminal Tribunal for the Former Yugoslavia on March 13, 2007. Proceeds will benefit the Woodstock Film Festival and Friends of FAFG, a U.S. 501 (c)(3) tax exempt organization that supports the work of the Forensic Anthropology Foundation of Guatemala, also known as FAFG (www.fafg.org). 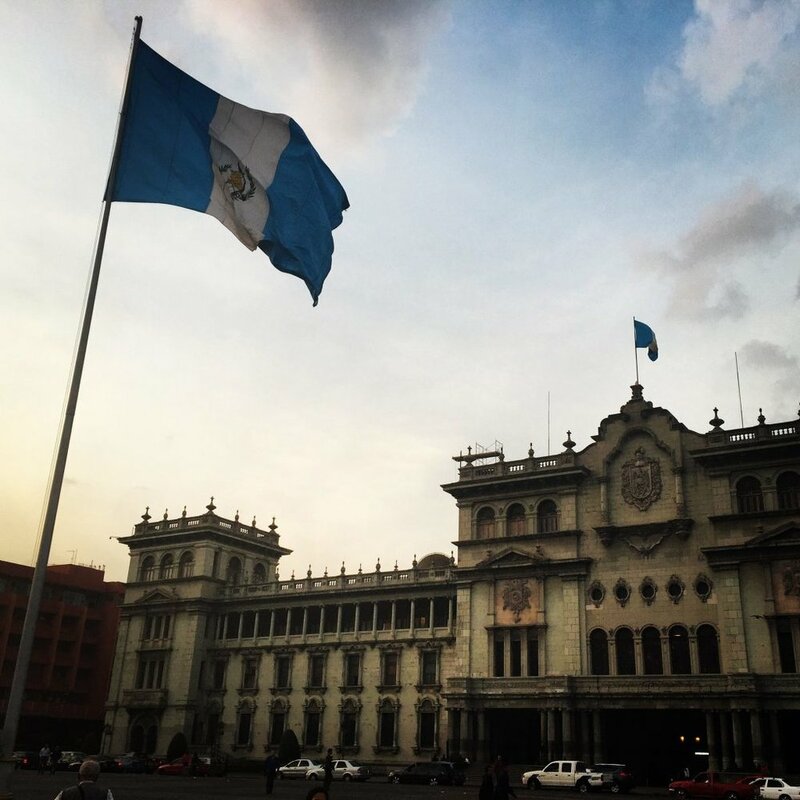 FAFG is a Guatemalan non-governmental organization that finds and identifies forcibly disappeared and other victims of Guatemala’s 36-year Armed Conflict. FAFG is dedicated to using forensic science as an instrument to recover history, clarity and truth, and to promote justice, combat impunity and build peace. That's a wrap on the Woodstock Film Festival's Summer Youth Lab 2018! Held at the Center for Creative Education in Kingston, NY, students had the opportunity to learn about the filmmaking process from film industry professionals over the span of three weeks. Films produced at the Lab will be shown this fall at the 19th Annual Woodstock Film Festival. Each day had a different mentor come in to talk with the students about different parts of filmmaking. These mentors included filmmaker Alex Smith (Slaughter Rule, Winter in the Blood, Walking Out); Academy Award winning actress Melissa Leo (The Fighter, Frozen River, I’m Dying Up Here); Sound recordist and mixer Carl Welden; NYU film professor and filmmaker Janet Grillo (Fly Away, Jack and the Red Hearts); Academy Award winning filmmaker Roger Ross Williams (Life Animated, God Loves Uganda); grip and lighting technician Greg Meola, owner of Company 1 Productions; film editor, producer and director Sabine Hoffman (Maggie’s Plan, Elvis & Nixon); actor/PA Jeremiah Wenutu, who spoke about about production assistant jobs; Line Producer and Operations Coordinator at Woodstock Film Festival Jacob Hutchings, who spoke about line producing; and composer Peter Wexler, who has been working in the performing arts for six decades, who spoke about music scoring for film. After conceptualizing and writing, students then filmed and edited their original projects. After a visit at Radio Kingston where the students were interviewed live on the radio by the radio's executive director Jimmy Buff, the students, teachers and teacher assistants went back to the Center for Creative Education and got ready for their "closeup"; the screening of their films in front of their family members and friends. We are so proud of each one of them. Watch this video to see what the students had to say about their experience. The Woodstock Film Festival Summer Youth Film Lab was made possible with support from an anonymous donor. This year's 2018 festival poster and 2018 T-Shirts, are now on sale! 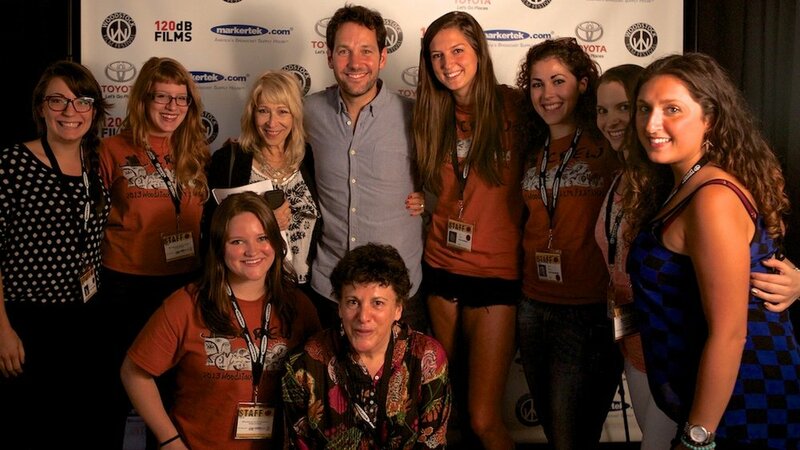 Be a part of our Fiercely Independent team of staffers, volunteers, and interns for the 19th annual Woodstock Film Festival. 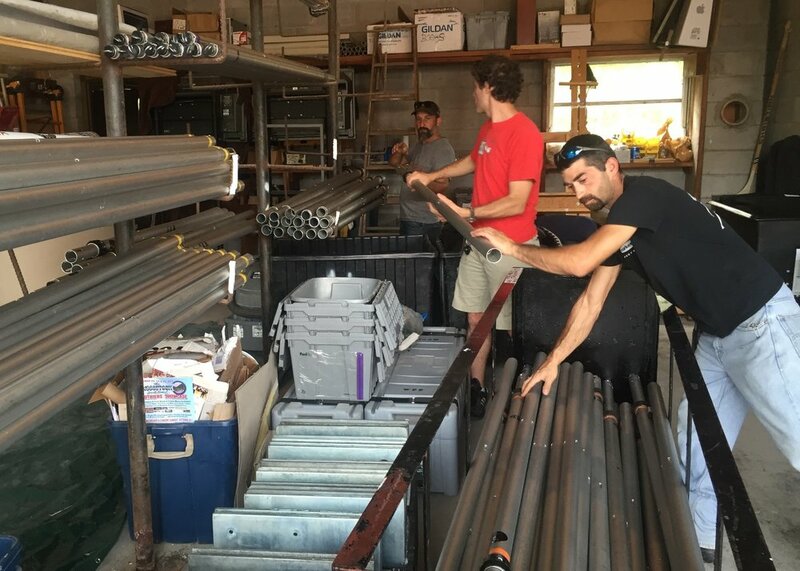 We are always looking for additional volunteers during the festival season. Volunteers are the heart and soul of the festival, and operations would not run smoothly without our dedicated team of volunteers. We are also searching for interns in ALL departments, including but not limited to Operations, Press, Public Relations, Administrative, and Production. 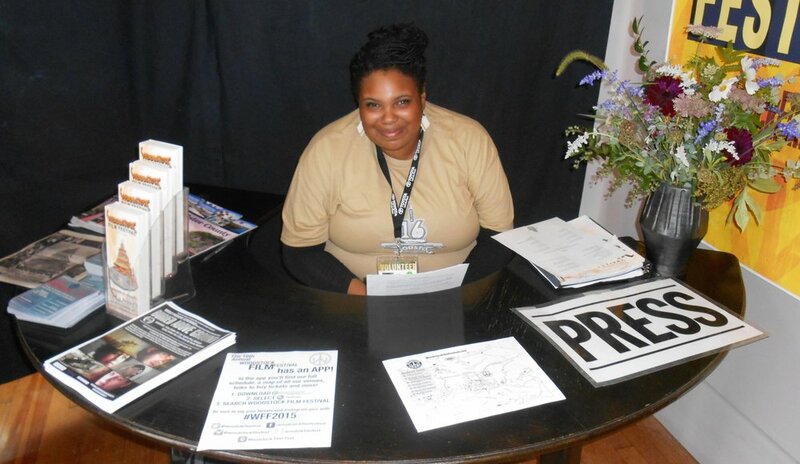 General experience includes database management, film submissions screening evaluations, fundraising, press and marketing, community outreach, production coordination, event planning, equipment optimizing/organization, editing and more. The internship will be custom tailored depending on the intern’s individual experience and skills. Do not miss this opportunity to work with industry professionals in a fun, fast-paced festival environment! Read comments from former interns here, and apply today at this link. 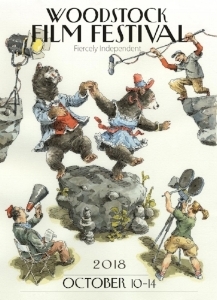 by today's most promising and accomplished independent filmmakers. This event generates large, enthusiastic audiences and a gamut of promotional opportunities. Woodstock Film Festival Sponsorships come in a variety of shapes and sizes. We offer Present, Platinum, Gold and Silver levels, as well as Award Sponsorships. We'll work with you to custom fit a partnership that works for your business marketing goals! Interested in learning more? We'll send you our Sponsorship Deck. This year's commemorative program, celebrating Woodstock Film Festival's 19th year (October 10-14), is offering a limited number of ads (due August 17) on pages dedicated to host towns including Woodstock, Rhinebeck, Rosendale, Saugerties and Kingston. We also offer ads for non-local businesses, digital ads in our eNewsletter (13,000+ readers) which remain online, and on-screen ads that play before film showings. All ads additionally appear on our dedicated sponsor page in our print and online program. Prices for local ads are reduced from the normal rate. Town ad pages include a blurb and photo dedicated to your business and town. In addition to printed catalogues released during the festival run, the entire catalogue will be online (with links to advertiser websites) on the virtual program. The Woodstock Film Festival is extremely grateful to have so many amazing sponsors each year. This year's festival was made possible in part by Gold, Silver, and Bronze sponsors, along with State Support. We would like to also extend a thank you to advertisers who support our monthly newsletters including The Villa at Saugerties, BankPurely, Berkshire Hathaway HomeServices - Deborah Medenbach, The Lodge, Sunflower Cafe, and Ulster Savings Bank.